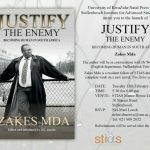 UKZN Press and the Stellenbosch Institute for Advanced Study invite you to the launch of Justify the Enemy: Becoming Human in South Africa by Zakes Mda. 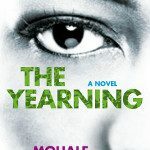 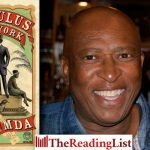 Africa’s Lit: 2017 highlights, featuring Zakes Mda, Dudu Busani-Dube, Ayobami Adebayo, Malebo Sephodi and Angela Makholwa! 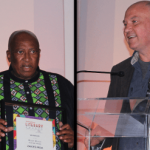 The December edition of Africa’s Lit features the light and quirky moments with your favourite authors from video recordings throughout 2018. 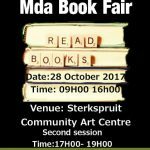 First annual Zakes Mda Book Fair announced! 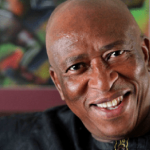 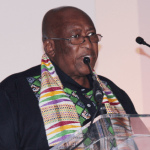 The inaugural Zakes Mda Book Fair will take place this month. 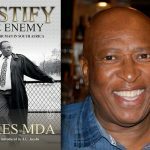 Justify the Enemy: Becoming Human in South Africa is a new collection of non-fiction by the prolific author Zakes Mda. 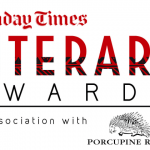 In his Sunday Times Literary Awards keynote speech, Zakes Mda spoke about how fiction exposes the truth behind the facts. 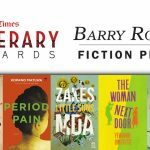 After months of evaluation and deliberation it is finally time to reveal the shortlist for the Barry Ronge Fiction Prize, in association with Porcupine Ridge. 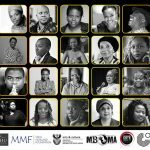 The winner, who will receive R100 000, will be announced on Saturday June 24. 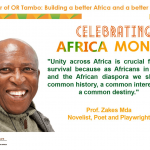 The theme for Africa Month this year is ‘The Year of OR Tambo: Building a Better Africa and a Better World’.